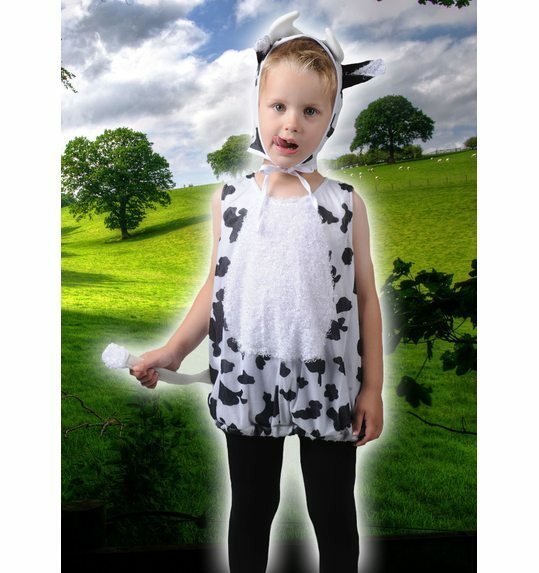 Cow costume for children with bonnet. The pantyhose is not included. Accessories are not included, unless stated so.